Your doctor/ respiratory physician will commence you on a variety of drugs suited to your individual requirements based upon analysis of your Lung Function Test results. Common medications used include inhalers (of which there are many types), oxygen, antibiotics (to prevent exacerbations in some cases), steroids to build up the strength in your lung tissue, and even a mucolytic (a medicine used to help you cough up excess sputum). Some people may even be candidates for non-invasive ventilation if their COPD is severe. 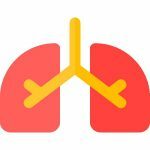 Find out more on our COPD Treatment page.